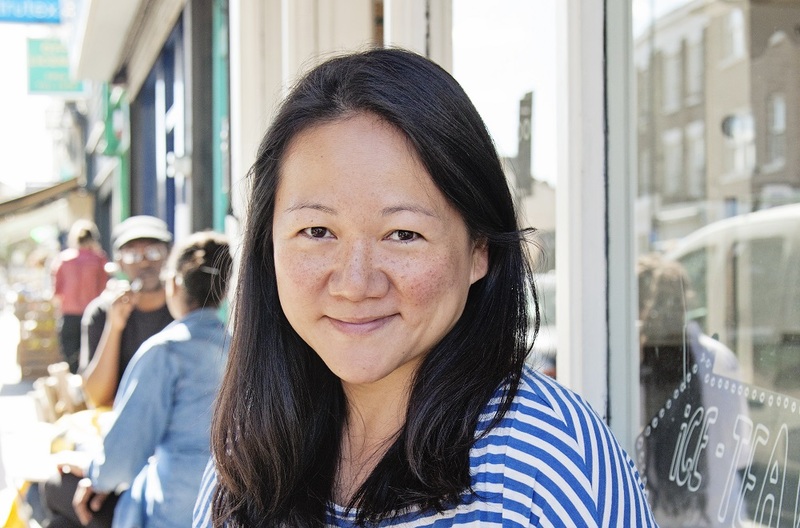 Colleen Wong is the Founder & Director of Techsixtyfour, a wearable tech company that developed the Gator Watch, the UK's coolest mobile phone and tracker for children. With an MBA from INSEAD, seven years international experience in Asia and six years at 2 European investment banks based in the UK where she was a Vice President in sales, Colleen decided it was time for a change after travelling, playing golf and having 2 kids. She is now based in Greater London where she manages Techsixtyfour. How did you come up with your idea of the Gator watch for kids? After hearing that a little boy was lost at Bockett’s Farm last year, I couldn't help but think there had to be a better way to deal with such stressful situations. Being a mum gave me that push to find a product that would let me stay connected with my kids. Why Techsixtyfour? My house number is 64 and that is where it all began! I had the idea for a wearable mobile phone in August 2015 and my watches have been selling in the UK on my website www.techsixtyfour.com since April 2016. My partner, Steve deals with all things technical such as the website and cyber security. He has a full time job in banking as an IT consultant. Nicolas is an advisor for Techsixtyfour focusing on strategy and marketing. He advises startups and venture capitalists and has over 10 years of experience with Ebay and startups. It has taken eight months to get from my idea to selling my product in the UK. The Gator watch will be in retail stores this winter. Creating awareness about the product has been a big hurdle and is still one I deal with everyday. Even though the product is a mobile phone and something everyone knows about, when packaged as a wearable, it becomes a brand new technology that takes time to understand. Being a new brand in the market is also an obstacle as it takes time to build trust. Why is #WomenInTech initiative important to you? I think it is important to support other Women In Tech because as a group, we can encourage more girls to love the world of STEM! I learn a lot from both men and women in tech but cheering other women on who are in tech and learning from each other makes us all learn and grow faster. What are the challenges of being an entrepreneur in the wearable tech industry? How about being a female founder in the UK? The biggest challenge is that the niche I am in is so small that most people are not aware such a product exists. This in itself is a challenge as consumers need to be comfortable with a new concept/device. I think the challenges I have faced in the UK is from being a founder in general rather than being female. Biggest challenges are dealing with the uncertainty of Brexit and its potential effects on the business and cashflow. The biggest achievement for me is when a parent emailed me to say how the Gator watch encouraged her child to be more active outdoors. When parents write to me to tell me how much they love the watch, it makes me so proud of what I have done! I have also been selected as finalist for the Duke of York New Entrepreneur of the Year at the National Business Awards this year and this is a big achievement as I just started my business last year. What projects are you currently working on within your company? In September 2016, I hired a brilliant social media manager from Digital Mums and also a PR agency run by a mum. I am focused on creating awareness about the Gator watch through as many channels as possible. I am also working on expanding the Gator watch to new markets such as the elderly market. Many parents who love the watch for their children have told us they would want one for their own parents who are often not fans of smartphones. I am currently preparing my pitch for Business Angels also as I have established there is a product market fit in the last 6 months and it's now time to scale up. The wearables market is estimated to reach £24 billion by 2020. The importance of wearables that benefit families have been overlooked as most people focus on health and fitness and smartwatches for adults. I think family tech will be a space to watch and also tech which is benefit rich rather than feature rich. Families want to know how it will make life easier as opposed to what additional cool feature it has. When you have a bad day and there will be many, just have a gin martini while listening to Queen's Don't Stop Me Now on full blast. I promise... everything bad will go away ;))) And don't take everything too seriously. Work damn hard but have a hell of a lot of fun on your journey.